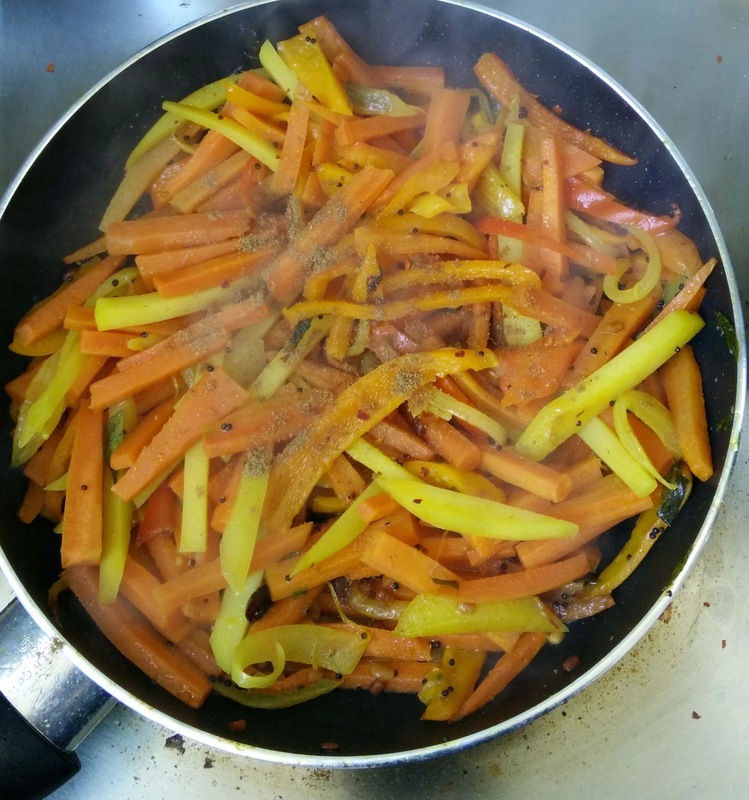 You can prepare a ultimate dry curry by sauteing Potato, Bell Peppers/Capsicum and Carrot all together followed by spicing up with red chilly flakes. 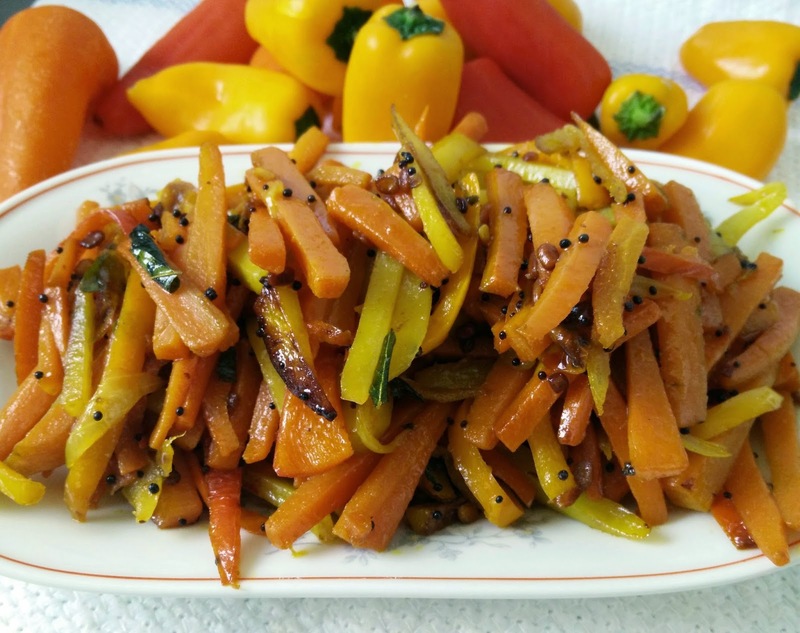 This makes a amazing tasty dish which can be enjoyed with Rasam or any dal and hot rice. A big Thanks to my father as I learnt this dish from him. 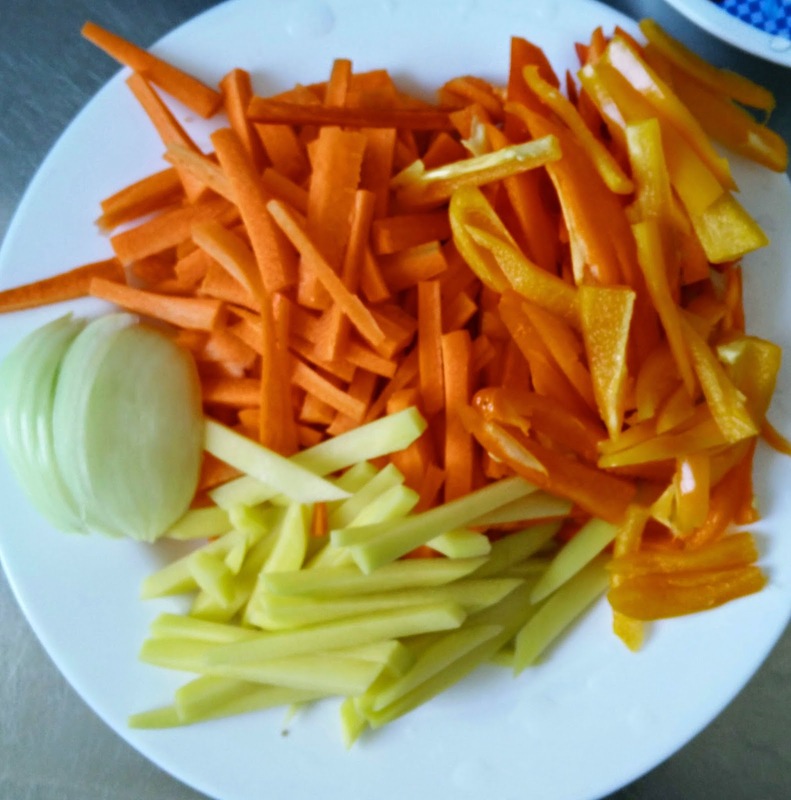 Very easy steps to be followed but chopping the veggies takes more time :-). Why can't you give it a try ?? 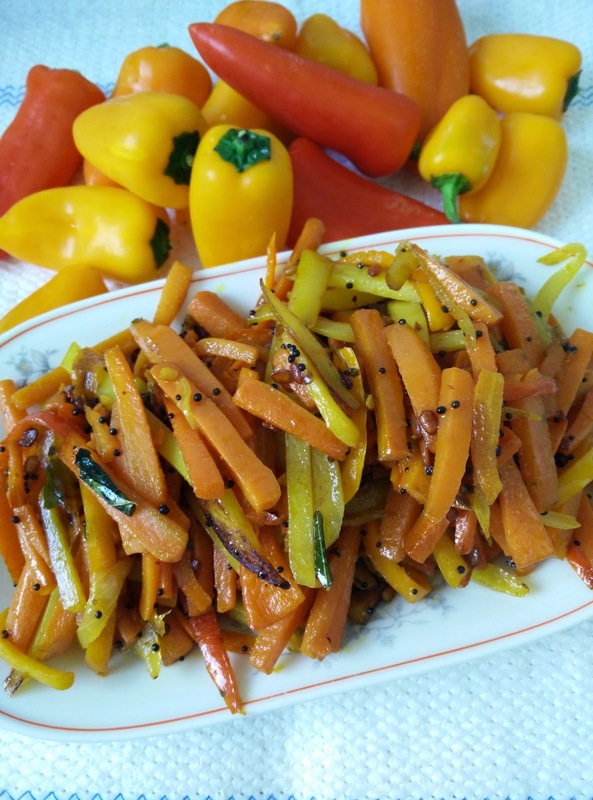 Chop the veggies and keep it aside. (you can chop them into cubes or thin stripes of length 1-2 inches. 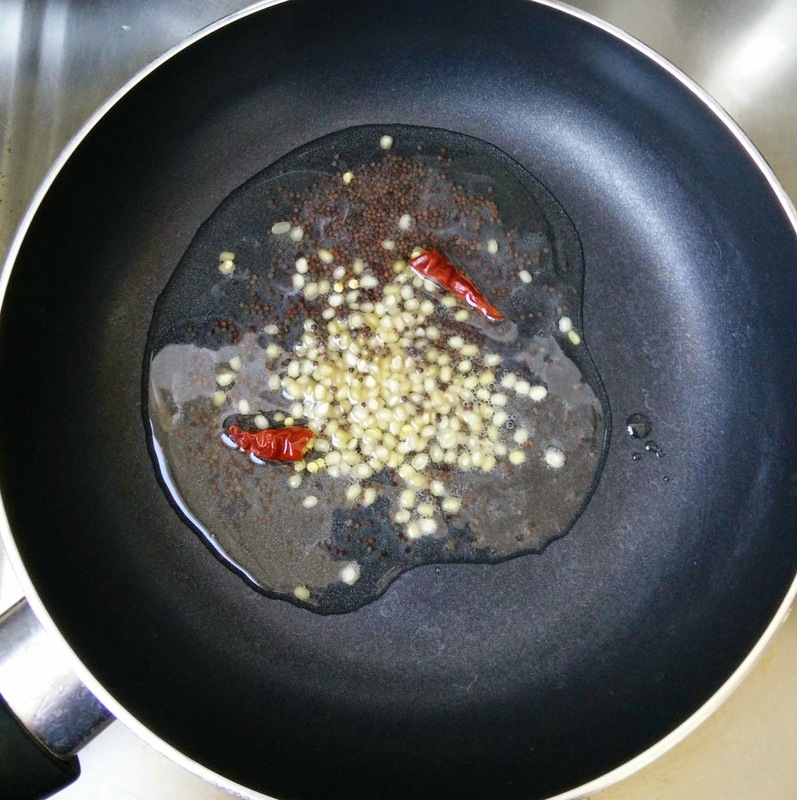 Heat oil in a pan and prepare the seasoning.First add mustard seeds,urad dal and red chilly. 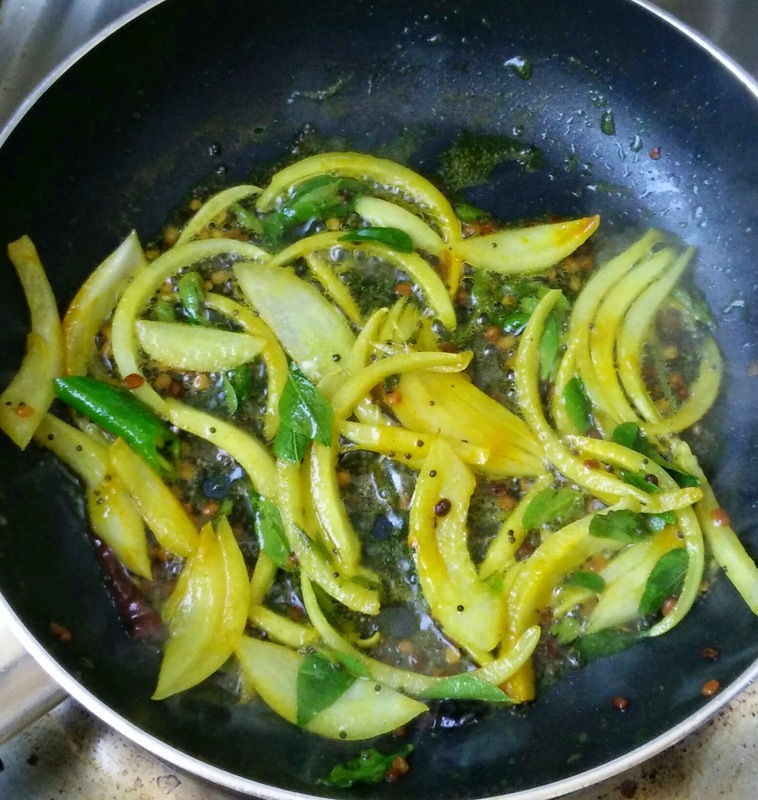 After the mustard seed pops out add curry leaves, fry for few secs. Now add chopped onion, turmeric powder and green chilies. 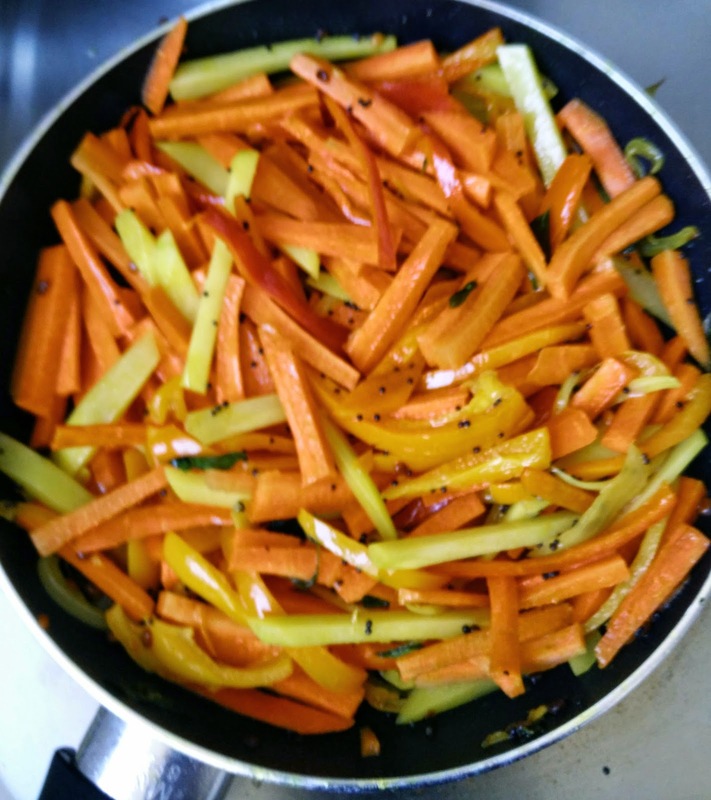 saute for 3-4 mins. 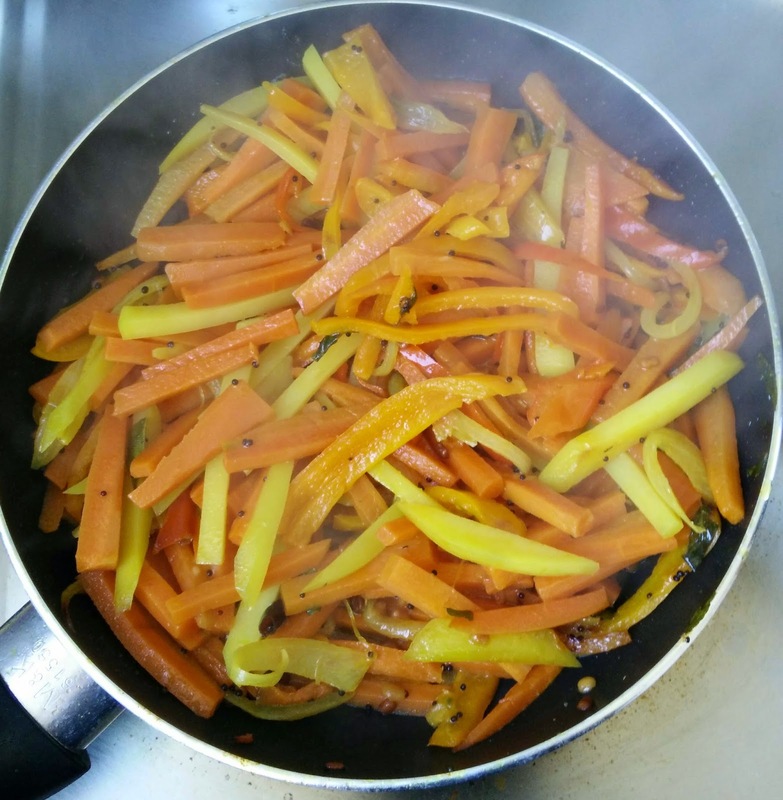 Add chopped bell peppers and saute for 2-3 minutes.Now add chopped potatoes, saute all together for 2 mins . 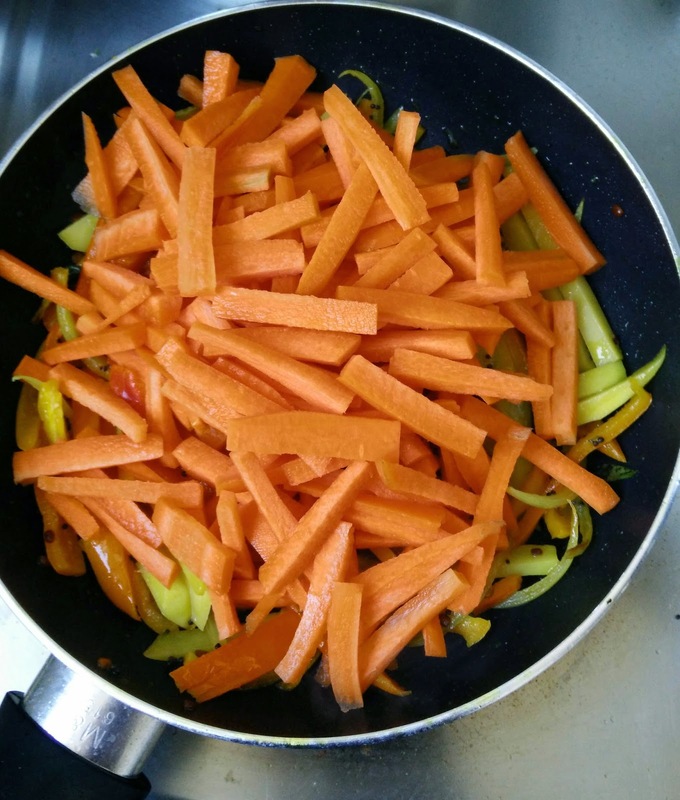 Add chopped carrots. Give a nice mix. 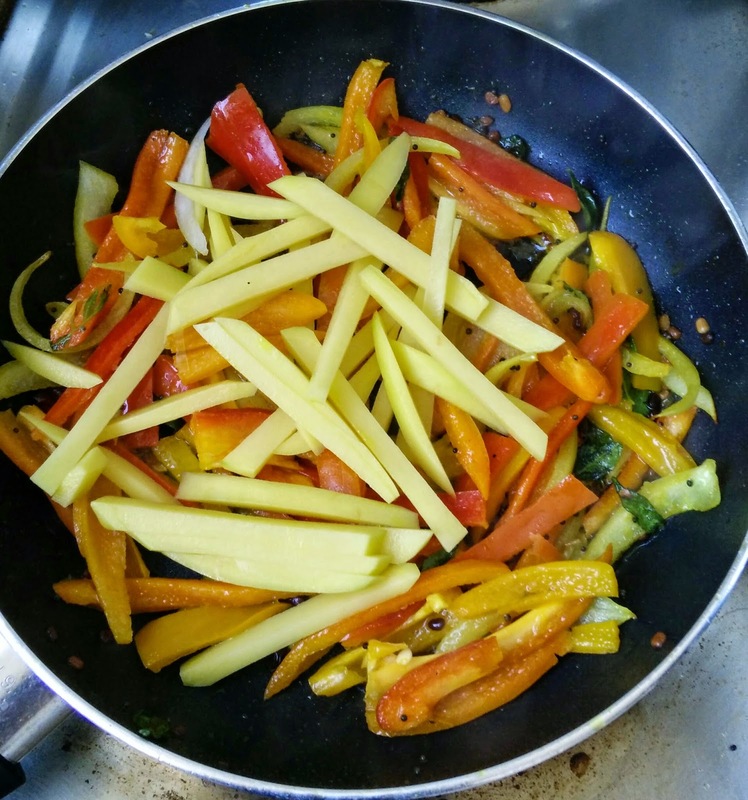 Continue sauteing until all the veggies are completely cooked.In a regular intervals,check the pan and sprinkle some water if required to avoid burning. 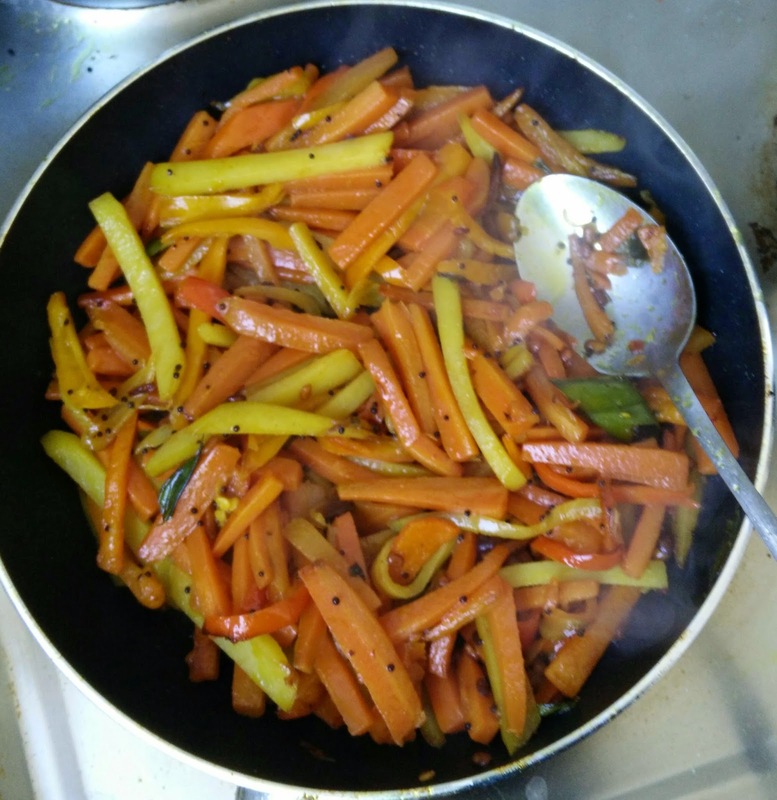 When the veggies are almost cooked , add salt , red chilly flakes and cumin powder to the sauteed veggies followed by nice mix. 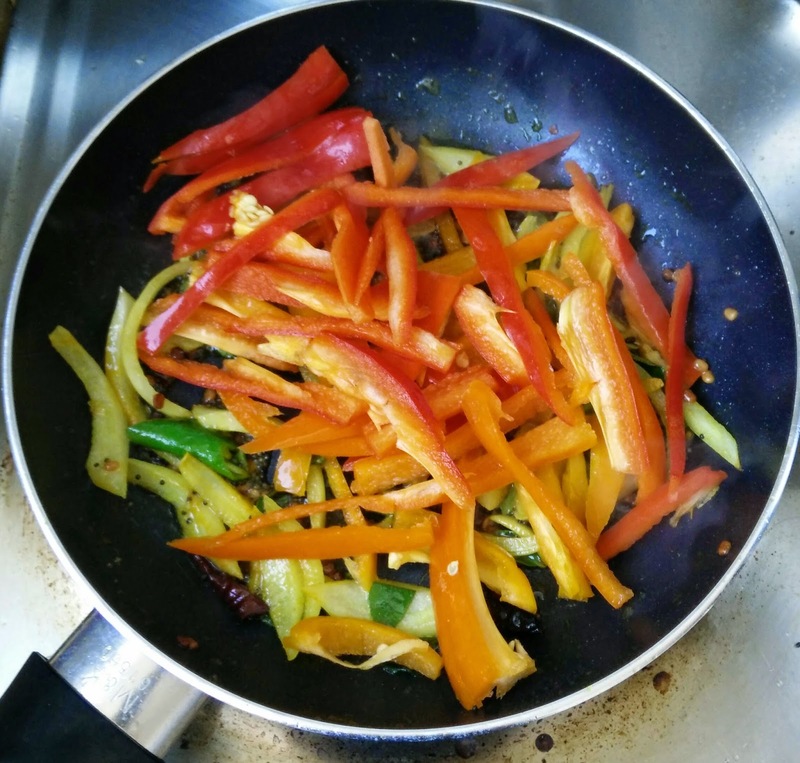 Before you switch off the flame , you can add one tbsp of fresh grated coconut. Chopping the veggies takes more time here as all the chopped veggies should be of same shape and size. Chopping them into thin strips is better as it cooks fast.